Carl Gustav Jung died 55 years ago. Along Sigmund Freud he was one of the greatest minds that ever walked the earth. 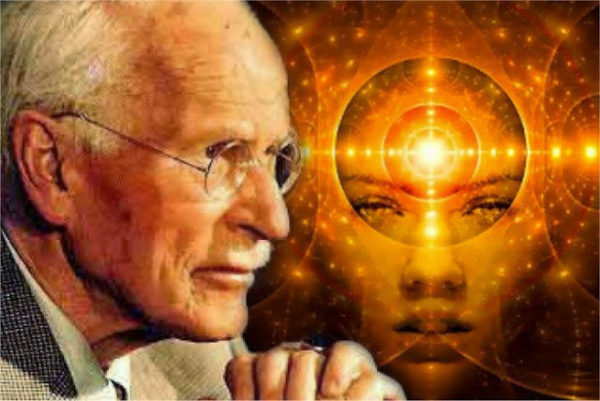 Carl Jung drilled DEEP into our psych and made incredible breakthroughs shaping the way we think of ourselves, today. When Carl Jung and Sigmund Freud met in 1907 they had a long conversation that lasted for almost 13 hours (you can imagine the depths of their conversation, way past where Adele is rolling). Later, in 1912 they declared scientific differences. Carl Jung and Sigmund Freud had many contradictions in their teachings. However, the core of what they taught was ONE simple truth; we are mostly driven by our unconscious mind. They were, in a way, like Yin and Yang not contradictory but complementary to each other observing the same truth from both opposite sides. Carl Jung was mostly famous for his ingenious concepts and theories like the existence of introvert and extrovert personality types and that dreams reveal more than they conceal. However, the most controversial and mind blowing is the existence of a collective unconscious and the theory that certain archetypal images and stories repeat themselves across the collective history of mankind. This suggests that we are all connected not just energetically but also consciously (unconsciously) which kinda makes sense. Having in mind his brilliant ways of thinking it’s impossible not to question, what would Carl Jung think of the world today, and most importantly, the people and the way they live. What would he say about our psychological health? For some things he would be really happy humanity has evolved. For example, he would be glad we accept each other more, raise our children without violence and have so many ways to communicate and share knowledge through. He would be really happy about neuroscience and its amazing breakthroughs. About science and the invention of a “global mind framework” – The Internet. He would love that more and more people try to integrate the modern with the natural because they try to reconnect us with the intrinsic value of the natural world. However, there are many things that would really concern him about humanity and the collective unconscious. It is hard not to notice that majority of the movies play with “the apocalypse” and “the end of the world” idea. What’s more worrying is how people cannot resist watching these movies with a weird satisfaction. It’s like all of us secretly want for the world to end. It’s not like the majority of people are suffering from mental illness. It is as if people are suffering from “a loss of soul”. Too often, the world does not seem to be for us, but against us. But this, of course, is not the case. It’s not that we don’t love life but everything seems so fragile, sometimes even pointless, there are many confusions and answers we still need to solve and sometimes, it’s just too hard baring the “losses” that naturally come with living and loving. It’s a moment of weakness where we play with the idea of everything ending all at once and not periodically, and this gives us a sense of relieve. Carl Jung lived through 2 of the most terrible wars in history of mankind (WW1 and WW2). He dedicated most of his life researching in order to understand the terrible collective energies that drove the two great events of his life, World War I and II. He lived in a period “filled with apocalyptic images of universal destruction” and understood something today’s society (the apocalypse lovers) forgot; humanity has divine potential that needs to be protected at any cause! There is a fruit inside our collective unconscious that needs to be realized. It’s like we are all holding a piece of the bigger picture and when you find this piece you find your meaning. Towards the end of his life, Jung reflected that many – perhaps most – of the people who came to see him were not, fundamentally, mentally ill. They were, rather, searching for meaning. So, maybe that’s the case of the global unconscious today; humanity has lost its meaning and purpose. The answer, of course, is not an apocalypse (that’s what cowards would pick). The real answer is drilling deep in ourselves, reconnecting with ourselves and embracing our shadow. That’s where our purpose awaits. That’s where you’ll start listening to your heart once again. And now, you need to follow your heart without a question. Because, on the bigger picture, that’s what gives life to your life.